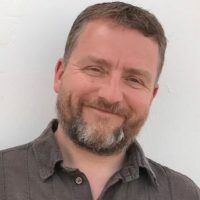 In this guest blog, Karl Wilding, Director of Public Policy and Volunteering at The National Council for Voluntary Organisations (NCVO) explains how ONS has a key role to play in helping civil society to understand and drive forward social and economic change for the common good. It’s often argued that what might be called ‘civil society organisations’ – charities, community groups, co-ops and trade unions, amongst others make decisions based on the interests and preferences of the constituencies that they represent. The inference is that they are less interested in equity, and therefore the impartial use of data and evidence to drive decision making. What is the truth about the extent to which data and analysis drive decision making in civil society? In truth, the Office for National Statistics (ONS) has been interested in the component parts of civil society for decades, though the changing fashions in nomenclature (such as Third Sector, Social Enterprise, Voluntary Sector) and what is perceived to be in scope might not always mean that is apparent. NCVO has worked with ONS since the early 1990s to chart the size, scope and contribution of charities specifically, with the intention of helping to produce estimates for the Non-profit institutions serving household (NPISH) section of the household accounts. Over that time period, much has changed in the world of charities and civil society more broadly. A number of trends are evident: growth in scale and scope (partly driven by government turning bits of itself into charities and mutuals), a shift towards earned income, enterprise and professionalisation are some of the key trends. Voluntarism, in the form of individuals giving their time and money, remain a defining characteristic of our sector. Working with ONS over the years, NCVO has tracked these changes and helped policy makers and those within civil society to understand and act upon that change. Using data to drive social change is, thankfully, more ingrained in our sector than in the early 90s. As organisations have become more involved in the delivery of public services, as supporters have become more interested in knowing what difference their contribution makes, and as the sector has come under more scrutiny, so more organisations have recognised that the days of just relying on ‘gut instinct’ have ended. Even those furthering the interests of a particular community, whether that be of interest or place, recognise that cases have to be supported by evidence and data. With this process, more organisations are using data to support decisions and drive wider social change. As producers of data, we probably still need to build demand for our data products. There are more potential users than users out there, and we remain convinced that the social and economic data and statistics that ONS produces can strengthen the insight of most organisations. We also need to recognise that data and analytic skills are probably concentrated in a relatively small number of mostly larger, adequately resourced organisations. Even then, big data and data science will be restricted to the few. The challenge remains for us all to make our data as easy to use (and reuse) as possible, to explain the ‘so what?’ where possible, and to think about how we can exchange different types of data, skills and knowledge. The rise of pro bono networks (e.g. Pro Bono Economics), data intermediaries (DataKind) and of course the higher education impact agenda suggest that there is ample scope for these sorts of partnerships. At NCVO, we’ve found working with ONS to be both productive and impactful. 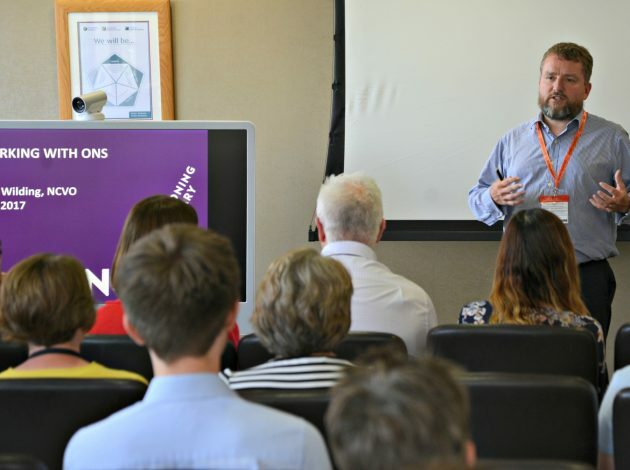 I recently visited the Newport office and was introduced to the various ways that ONS is transforming to better meet the needs of civil society and others. 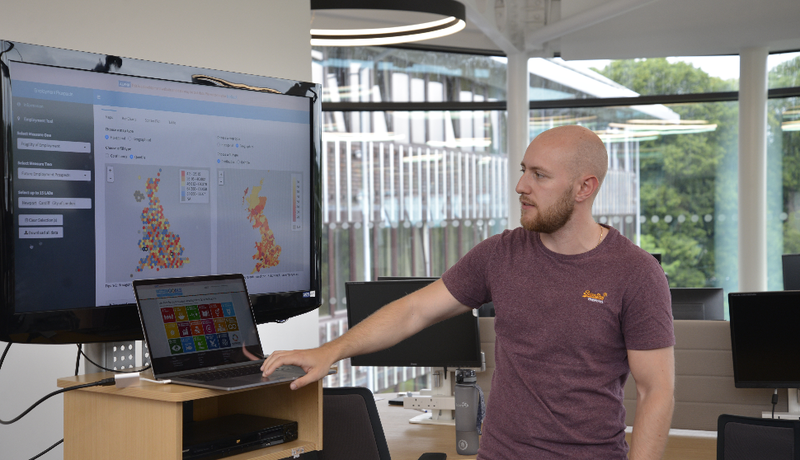 Developments include the opening of the ONS Data Science Campus, which is exploring new analysis on population movements, environment and economic statistics and improvements in the way ONS collects and processes data. For us, ONS is most helpful where it can do the things that others can’t, or at least can’t do easily). This might be analysis where we don’t have the skills or, more obviously, data collection where we don’t have the scale or resources. As a civil society, we are inherently interested in social change, so understanding how society is changing across a number of dimensions is crucial to our work. NCVO wants to see ONS continue and maybe expand its interest in and data on issues such as giving and volunteering, or the role of civil society in delivering public services. Too often data is presented as a public private binary. In a world of blurred boundaries, co-production and new organisational forms, it would be good to see how official statistics might increasingly reflect that new world. We also want to think about how the lead ONS has shown on wellbeing can be used more broadly within civil society as we think about our own impact. The latter remains a huge challenge for many organisations. Contribution to wellbeing may well be the best way forward. Conversely, where organisations collect data themselves, there are likely to be opportunities for ONS to build its own data resources and better understand social and economic change. ONS has a key role to play in helping civil society to understand and drive forward social and economic change for the common good. Our sense is that a more open, outward looking ONS can help civil society to make an even bigger difference. In turn, we think organisations that are themselves more interested in data and evidence can share their insight with ONS. We look forward to continuing working together in the future.